My thanks to Zeynep of Galen Leather for sending me this Leather Field Notes. I am giving away this leather cover, read this review all the way to the end to find out how to win it. Galen leather is a 2 person outfit from Istanbul, Turkey. They hand crafts leather goods that marries the analog and the digital. 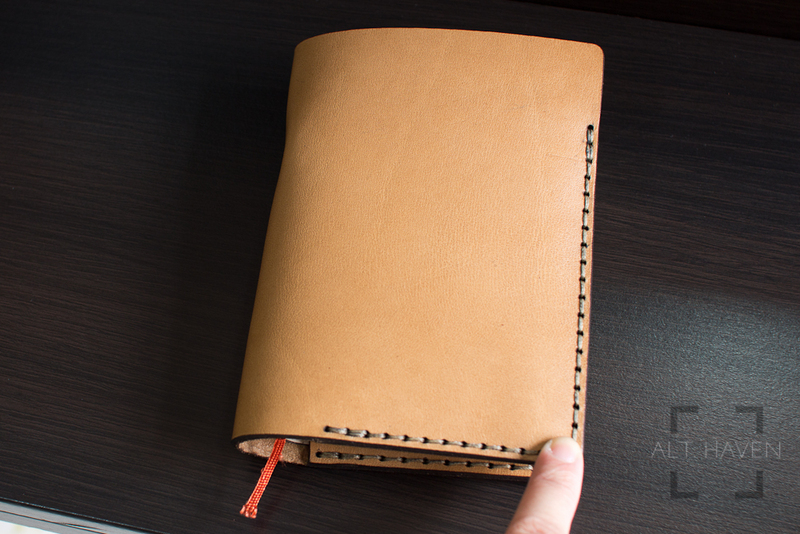 I’ve received this natural vegetable tanned cow leather Field Notes cover back in late May. The packaging is just beautiful. It came in a simple cardboard box. Very hipster, very rustic. Inside you’d find a glass evil eye along with a card telling you the story of Galen leather and the history of the evil eye. The leather is thick and smooth to the touch. It isn’t particularly soft like the Roterfaden Taschenbegleiter’s and has a strong leather smell. The edges are burnished just the way I like it. The stitching is straight and tight. 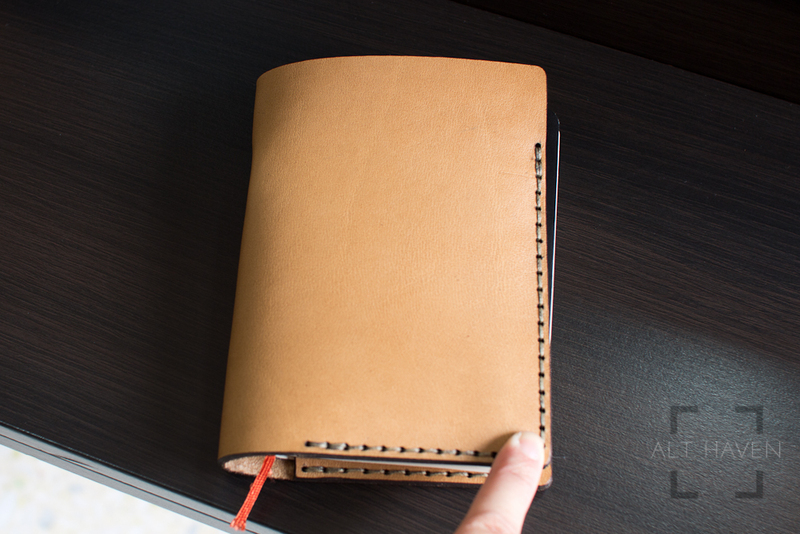 The leather feels tough and doesn’t scar easily unlike my regular camel Traveler’s Notebook. It only needs a short time breaking it in. Personally I don’t use Field Notes because it isn’t readily available here in Singapore. However I found my TWSBI A6 notebook fits the cover perfectly. Slipping the back cover into the slot is easy. The fit is just right. There is no play once I got the back cover in. The cover close easily. When it was new the cover tend to flop open easily but once it has moulded itself to the notebook, it stays close. I would prefer if there is a small elastic band that keeps the cover closed. The TWSBI A6 notebook is a way thicker notebook when compared to a standard Field Notes memobook. 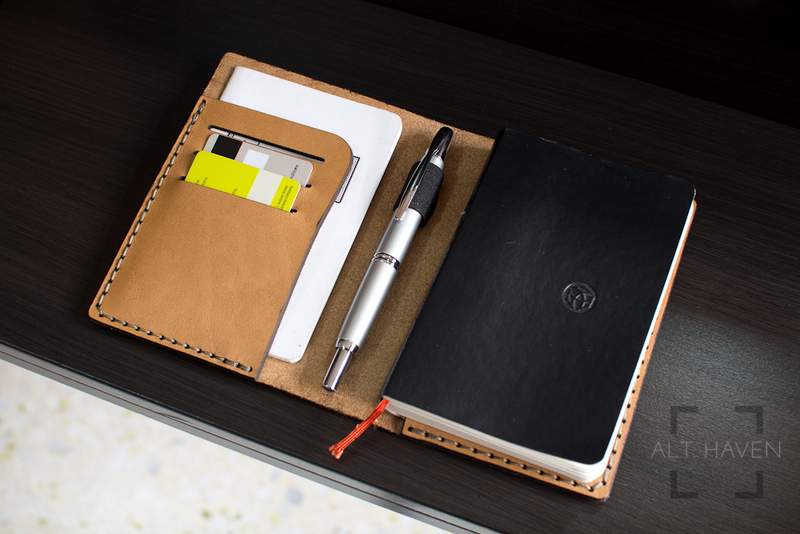 Without making use of the pen loop, the cover closes without any overhang. However if I tried to make use of the pen loop, the cover doesn’t close properly. That’s due to the thickness of the TWSBI A6 notebook. I swapped my Field Note sized Blank and Write Backpocket Journal in and the cover closes normally even with the pen secured in the loop. The black elastic band secured in the centre of the leather cover functions as the pen loop, It is wide and/or stretchy enough to accommodate my widest pens such as the OMAS Arte Italiana among others. I am not sure how the pen loop is secured to the cover. I couldn’t find any stitching on the back of the cover. However, there is a depression in the leather on the back side of where the pen loop is. Personally, I found it rather ugly. There is also a half pocket with 3 card slots on the inside of the cover. Loose papers and name cards fit easily in their respective slots. In theory, if you really want you could use the half pocket to hold another notebook as well. 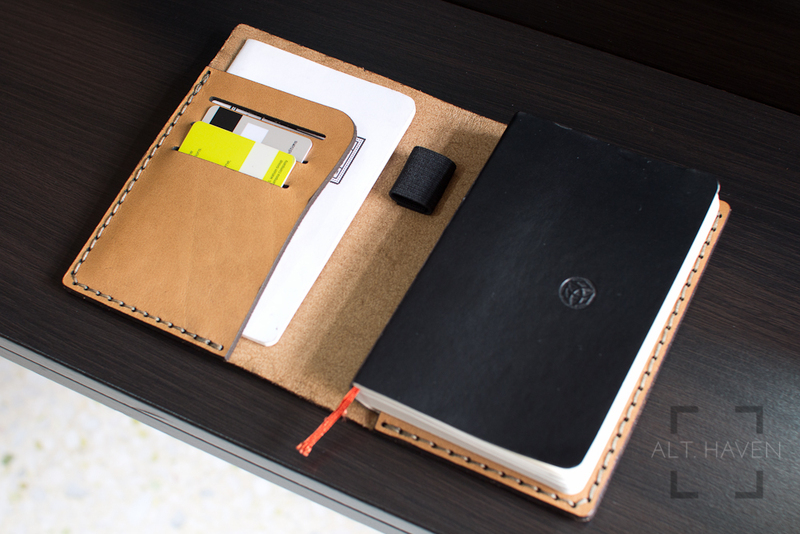 I enjoy the versatility that the design of Galen Leather’s Field Notes Cover gives me. 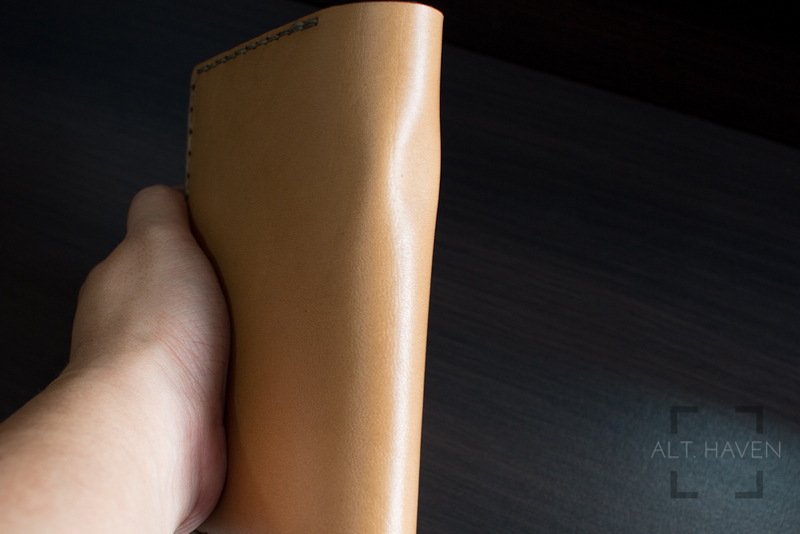 In conclusion, a Galen Leather Field Note cover costs $44 USD excluding shipping. It isn’t an expensive leather cover for something well made with good quality leather. 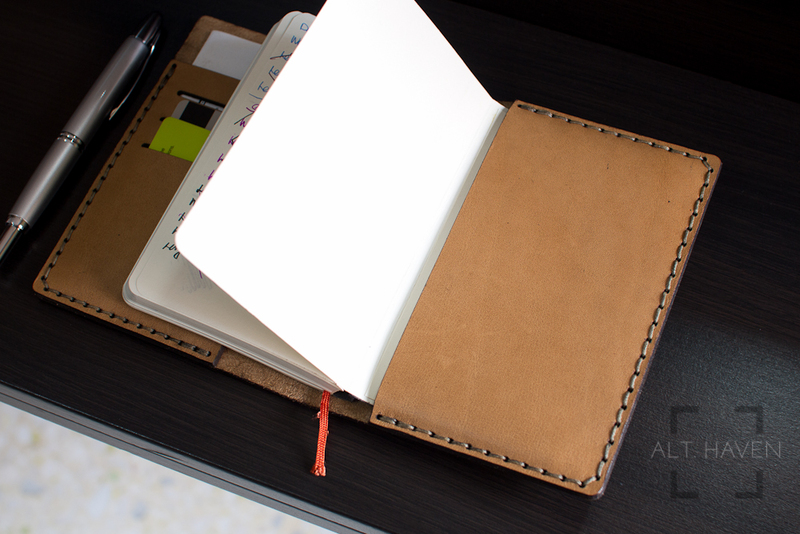 They offer a good range of other leather notebook covers in various sizes on their website. My thanks once again to Galen Leather for sending me this Field Note cover. 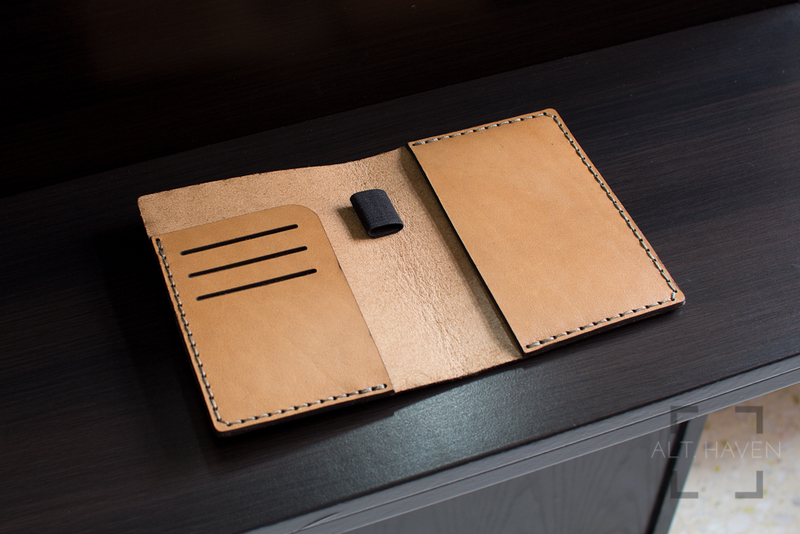 I have a Galen Leather iPad Mini & Large Moleskine cover up for review soon, look out of it. I am giving away this leather cover to stand a chance to win it all you have to do is tell me in the comments below what’s your favourite brand and format of notebooks (eg A5, A6). Please include your email address so that I can contact the winner directly. This giveway is open to all residing in Singapore. The giveaway will end 14th July 2016.